Kids and Weddings – Yes or No? The best part about your wedding is having everyone you love in one place at one time. Aunts, uncles, cousins, best friends and (may times) their significant others. People with whom you have shared experiences, and looking forward to adding this to your list of fond memories. Then, the subject of kids comes up. The subject of children at weddings is a buzzkill for almost everyone …with or without children. People with children don’t understand why you don’t want their little darlings around, why they have to exclude their children (part of the family) from a family gathering. They do not always want to leave their children out of the celebration and if there is travel involved, how long do they have to make arrangements for their children’s well-being? They consider it a huge inconvenience and some parents will be resentful. But, some people with children don’t always want to travel with them or take them to a fancy event. They would like to have a night out without worrying about who ate their vegetables and making sure someone uses the right spoon. No highchairs, no temper tantrums, no whining…just a night out with your spouse and a glass (or two) of chardonnay. People without children would often prefer you leave them at home, find a sitter and be done with it. They haven’t bonded with children, they don’t need or want the worry of children ruining their event with bad behavior, out of control, touching things that don’t need to be touched. They are not as enamored with your children as you are. Kids are fun. they dance and laugh and eat cake. They will be all dressed up and probably not eat too much, anyway. If you are paying $100 per person for dinner, how can you justify spending this much one someone who would probably rather eat McNuggets? Kids are noisy – what if they can’t keep quiet during the ceremony? Kids are messy. They will probably have filthy hands and want to touch the wedding gown or other things that don’t need to be touched. There is also the age thing: What is the cut off? There is a big difference between a 17 yr old and a 4 yr old. The simple fact is that if you don’t want children at your wedding, state it on the invitation and make sure you are prepared for the fallout. If you are allowing children at your wedding, state it on the invitation and be prepared for the fallout. Either way you are not going to make everyone happy. Make your decision (as a couple) and move on, you have nothing to explain and no explaining will make a difference, anway. It is your wedding. First, Second and Third Weddings…Is There a Difference? With the recent gossip ( I won’t call it news) that Britney Spears is experiencing a slight case of cold feet in regard to her second (actually third) wedding, it seems like a good time to consider previous weddings. In this case, it is when one party has been married before and the other has not. Tradition dictates that the second wedding should be less formal than your first but, lets say it’s your second wedding and your fiance’s first trip to the altar. No matter what the circumstances were that led to the demise of the first marriage, it has nothing to do with this union. Whether it was a mutual split, or a nasty divorce, the outcome of that marriage is not to be considered when planning this wedding. If you or your partner have been married multiple times, you may want to consider a low-key affair. Realistically, how many grand scale weddings do you need? Opt for a destination wedding or something with just close friends and family. If this is the first marriage for one of you and not for the other, make sure that you don’t miss out on the feeling that you had a wedding. Sometimes brides or grooms regret not having some sort of event to share with their friends and family. Do not ever deny your intended the joy of declaring their love for you in front of family and friends simply because you have ‘been there, done that.” Instead, explain to t hem honestly what you are feeling and work together to make it sepcial and unique. Having a traditional bridal shower with gifts and games for a repeat bride might seem redundant. Instead, try a spa shower with manicures, pedicures and facials for only the nearest and dearest friends. 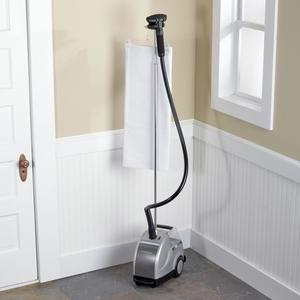 As for gifts, this is uncharted territory but, I will go on a limb and say that anyone who has been married once or twice before probably doesn’t need very many household items. If they are registered, follow the registry exactly and do not stray from the list. 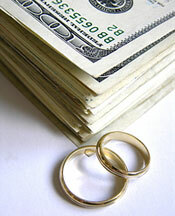 Many couples are choosing a cash registry which lets them use the funds for whatever they want. Exes. Ugh… the dreaded question of whether to invite the ex. If you have a pleasant relationship, if you have children and a pleasant relationship, you get it, right? Never invite anyone who might cause turmoil. If you and your fiance have both been married twice before, that is 4 exes and their dates that might cause a scene… 8 people who could cause potential drama. That is, unless you are all on very good terms. I can’t imagine. 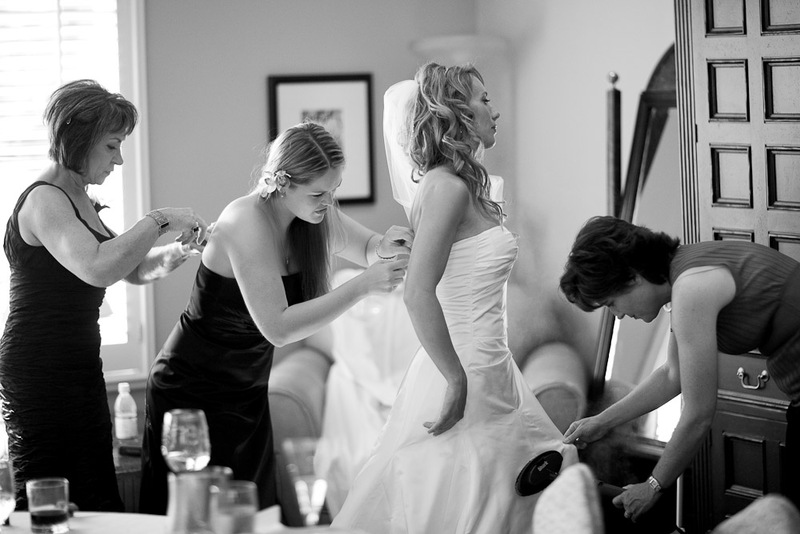 The bottom line – don’t avoid having a wedding just because you already had one. But, be respectful of the situation and modify things when necessary. It is considered uncouth to host a lavish wedding when you have been down the aisle repeatedly. But, that never stopped Elizabeth Taylor or Tom Cruise, who seems to get more and more lavish with each trip down the aisle!!! A hot debate is almost guaranteed when the topic is children and weddings. Should you invite them? Should you have them in the wedding? The arguments are endless! What no one ever considers is what the children actually think a wedding is all about. For a few laughs, I have compiled a short list of children’s quotes on weddings and marriage, including my own 10 and 12 year old’s views on the whole affair, along with some of their friend’s responses. When should you get married? “No person really decides before they grow up who they’re going to marry. God decides it all way before and you get to find out later who you are stuck with.” (Kirsten, age 10) Now, that’s a revelation! What does a groom do on his wedding day? “Take a shower and put on a nice suit so I can be the best man.” (Evan, age 11) I guess the groom is the best man, after all! What does the bride do on her wedding day? “Kiss the groom, eat cake and then put your dress on.” (Olivia, age 8 ) In that order? What is a wedding? “Weddings are mostly when the bride walks up to the husband, they have a piano player and they say stuff about if you want to get married or not. If you say “I do” and the bride says “I do” then you are married and it’s all over.” (Frankie, age 10) Sometimes thats exactly right. 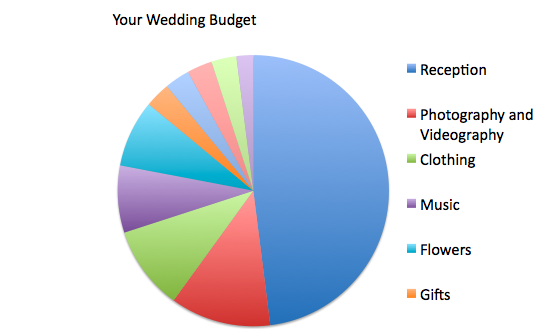 How do you plan a wedding? “You pick a best man and a flower girl and go to church.” (Jacob, age 12) Interesting… no bride? What is the best part about having a wedding? “Everybody smells good and there is enough cake for everyone.” (Alan, age 7) Cake is definitely a bonus. How do you decide who you will invite to your wedding? “The groom, my kids and both of our teachers.” (Pam, age 9) Don’t forget your classmates! Follow the advice of these kids and you are guaranteed to have a great wedding! According to industry statistics, an estimated 38% of couples honeymoon immediately after the wedding, about 27% honeymoon within 3 months and the remaining 35% opt for no honeymoon at all. 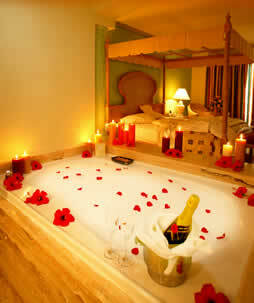 No honeymoon? Hard to believe but, destination weddings add up to a whopping 19%, which leaves a small percentage of couples who are either unable or unwilling to get away. 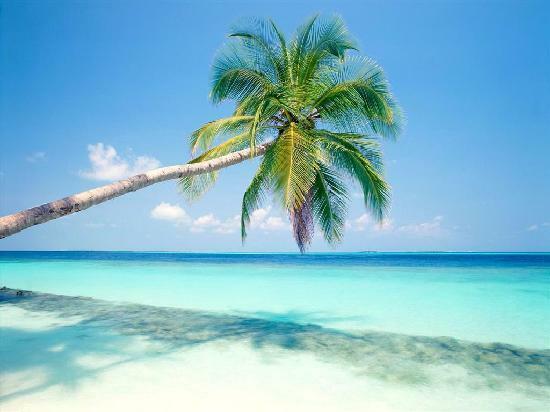 Now – The best reason to get away immediately after the wedding is to decompress and relax. Stress has been building since the engagement and with all of the preparations and details under your belt, disappearing with your new bride or groom is about the best thing you can do if it is at all possible. The Thank You cards can wait until you get back. Or better yet … take them with you and send them with an exotic postmark. Later – There are many reasons that couples may choose to delay their honeymoon; unable to get time off from their job or other commitment, illness in the family, or perhaps weather concerns. Be careful, waiting more than three months after the wedding causes most couples to focus on other matters that need their financial attention, like using their honeymoon fund for a new car or a down-payment on a house. Destination – The upside of a destination wedding is the built-in honeymoon. It is a much smaller, more intimate gathering and you will only be able to invite your closest friends and family. The down side is that only about 50% of your invitees will be able to make it. Whether you honeymoon now, or later or choose no honeymoon at all, a really great idea is to spend your first night as a married couple in a luxurious hotel, making sure they know you are newlyweds so you can bask in the glory of the honeymoon suite! Many couples today are paying for their own wedding, which makes it no great surprise that they would start their new life together in debt. Debt is that nasty four letter word that no one likes, we all fear and is hard to dig yourself out of unless you are prepared. Not surprisingly, it is how you handle the debt that determines whether you will be a) successful at removing it and b) your marriage can weather the debt storm. 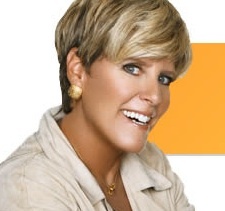 According to financial guru, Suze Orman, money issues play a significant role in 90 percent of divorces. Budget – The purpose of a budget is to control your spending. Think of it as a diet for your bank account; you cannot charge more than you make or your debt will weigh you down. Be honest with each other about spending and never go over budget without giving the other person a heads up. Joint accounts – Having a joint account to pay household bills is a good idea. But, each person should have their own separate account as well. Equal Contribution – Each person should contribute the same percent of their income to the household. If you make $100,000 per year and your spouse makes $50,000 per year, your contribution will be double. Percent is the key word. If you don’t make equal money, you can’t contribute the exact same dollar amount. Control – You should always be allowed to control your own money. If your spouse insists that you relinquish all of your money into a joint account and you have to ask for money, this is a recipe for disaster. In most relationships, there is one person who is a spender and one is a saver. If you can combine your strengths and weaknesses for the greater good, this is a terrific combination. If you are both spenders, you should seek financial guidance early in your relationship so you don’t become a statistic.